This Sunday, April 8, the ASPCA is partnering once again with New York City tattoo artist and television personality Megan Massacre for our fifth “Tats ‘N’ Tails” art and adoption event. The festivities begin at noon and will feature adoptable cats and dogs from the ASPCA Adoption Center (from 1:00-5:00 P.M.), a photo booth, prize giveaways and the opportunity to get tattooed by Megan herself. 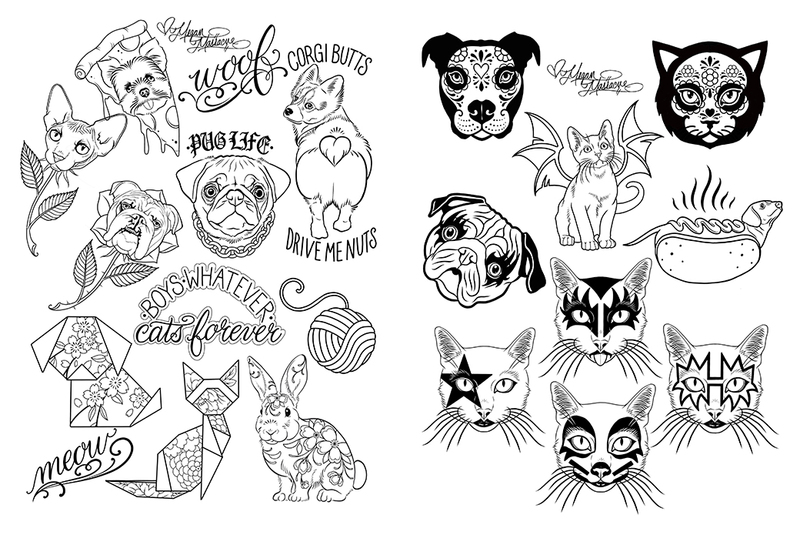 Megan is offering a variety of custom animal-themed tattoos available for $100, and she will generously donate 100% of the profits to the ASPCA. Those who adopt will also be given a t-shirt and entered to win a $1,000 tattoo session with Megan. T-shirts will also be available for purchase on gritnglory.com, and all of the proceeds will go to the ASPCA. 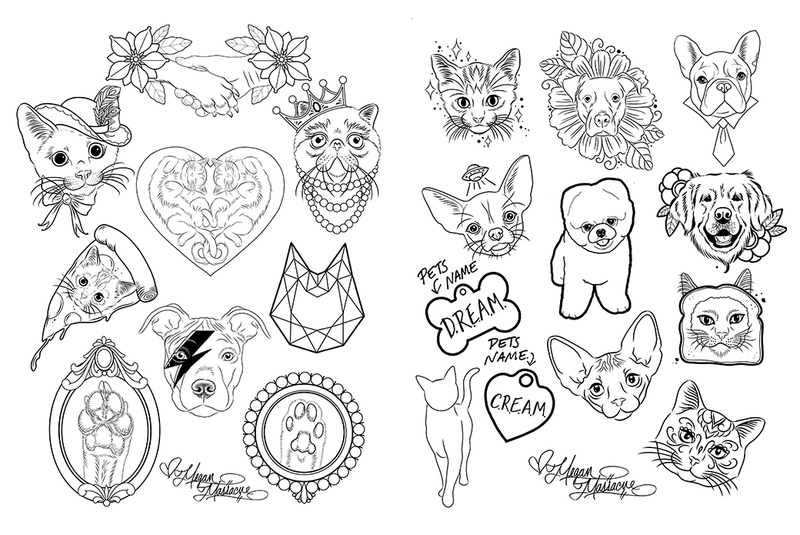 Above are some of the fun tattoo designs Megan will have available at the event. The event will take place at Megan’s tattoo shop and lifestyle boutique, Grit N Glory, which is located at 186 Orchard Street in New York City’s Lower East Side neighborhood. Don’t miss out on this chance to show your love for animals—and maybe even meet your newest furry family member! Tattoos Available (on a first-come, first-served basis): 12:00-8:00 P.M.
Adoptable Animals Available: 1:00-5:00 P.M.